The 2018 iPhones are hours away from being announced, but rumors have already begun circulating about next year’s lineup. 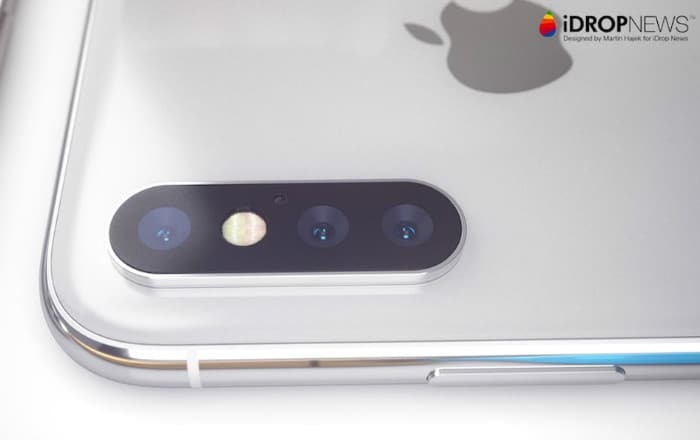 Famed Apple analyst Ming-Chi Kuo’s new report focuses on just one particular aspect of the devices – their rear cameras. Specifically, Kuo thinks Apple won’t include a time of flight (TOF) solution into the back-facing lenses of the 2019 iPhone series. This goes against what previous rumors have claimed. The general consensus was that the company would incorporate the tech in order to develop next-gen AR experiences. Moreover, TOF doesn’t actually help in taking better photos. The analyst thinks the present dual-camera system works just fine in terms of distance and depth information for shooting photos. Apple thus has no reason to include TOF in the 2019 iPhones. Apple uses a single VCSEL module in its front-facing True Depth camera system. It calculates distortion in structured light, spraying dots onto a user’s face to calculate depth. TOF works differently, calculating the time it takes for light pulses to travel towards and away from a target. It’s said to be more accurate, making way for precise depth mapping and advanced AR applications. Without it, it’s unclear just what kind of advances Apple is planning for 2019. Some had claimed that the iPhone would gain a triple-camera system for AR reasons, but even this is now thrown into doubt. There’s still a year to go before the 2019 iPhones come out, so the answer may emerge sooner or later. For more official answers, the 2018 iPhones are emerging from their cocoon today at 10 am PDT or 10:30 pm IST.